The Symantec Secure Site Pro Wildcard is the most premium wildcard solution available in the industry today. This certificate will cover one domain name (www.domain.com) along with an unlimited amount of subdomains (etc.domain.com, xyz.domain.com, symantecrules.domain.com). 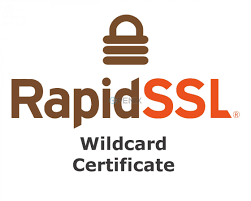 Aside from HTTPS, the padlock icon, full 128- to 256-bit encryption – what really sets this certificate apart from the others are two main features; the Norton Secured Seal and ECC encryption. The Norton Secure Seal is the most recognized and trusted symbol on the web and ECC is the lightest and strongest encryption technology currently available on the market. In addition to the green address bar, this certificate features a HackerGuardian Vulnerability Scan, a free site seal free PCI scanning, free daily website scanning, a post-install health check, and the point-to-verify; Comodo trustmark. This EV certificate offers tremendous value for your dollar. Protect your website with daily monitoring for blacklists, on-site malware, and PCI compliance scanning. You’ll be informed of any issues possible for your website and get the added trust benefit of the Comodo Web Inspector Seal, so your customers will see your investment in their security.Protect your website with daily monitoring for blacklists, on-site malware, and PCI compliance scanning. You’ll be informed of any issues possible for your website and get the added trust benefit of the Comodo Web Inspector Seal, so your customers will see your investment in their security.